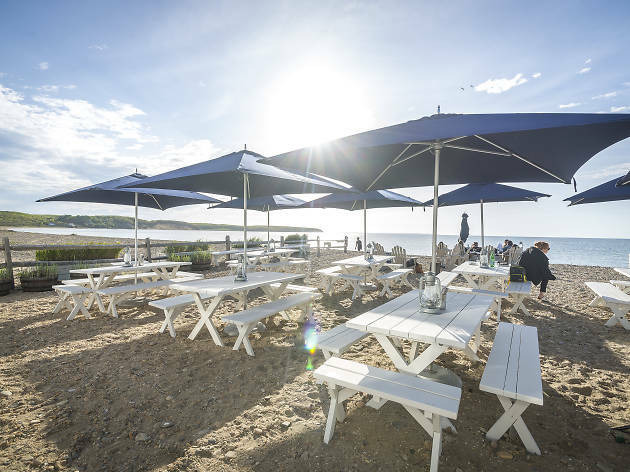 Montauk might be known as the Hamptons’ more laidback, surfer-y sister town, but the fresh-faced crowd that descends upon the town every Memorial Day gives the weekend getaway spot a buzzy-and-breezy vibe. 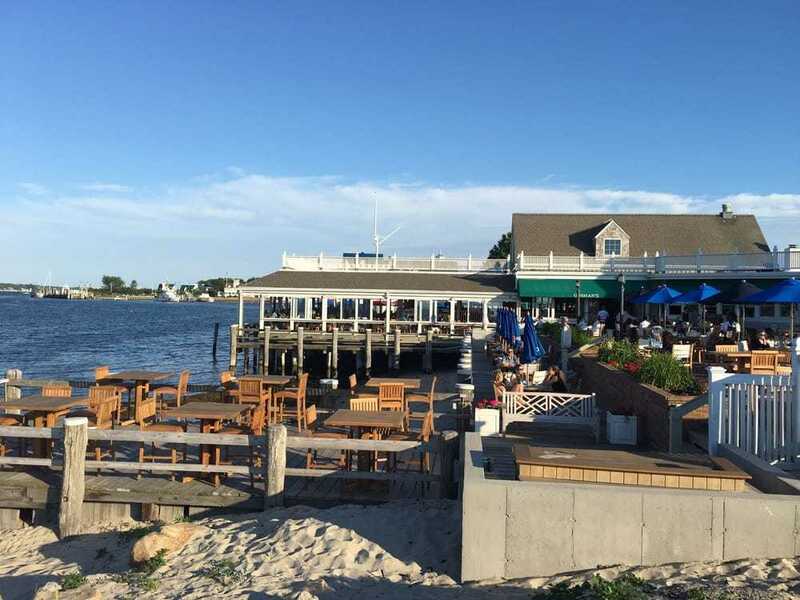 And while there are plenty of great Hamptons restaurants out east, we’ve narrowed in on Montauk’s best waterfront restaurants and bars, seafood restaurants and cheap eats joints specifically for those traveling to the shore. 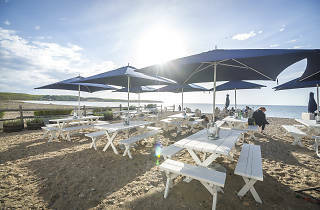 For a high-end dining experience in the laid-back surf town, go to the halcyon Crow's Nest perched on southern end of Lake Montauk. 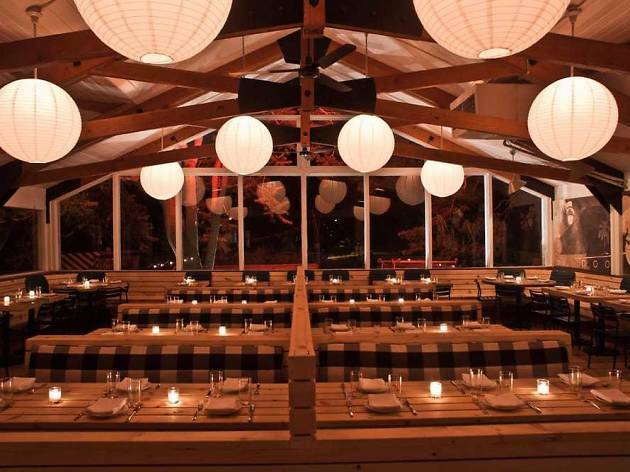 Sit under the string lights and watch sunset while dining on elevated seafood-centric dishes. 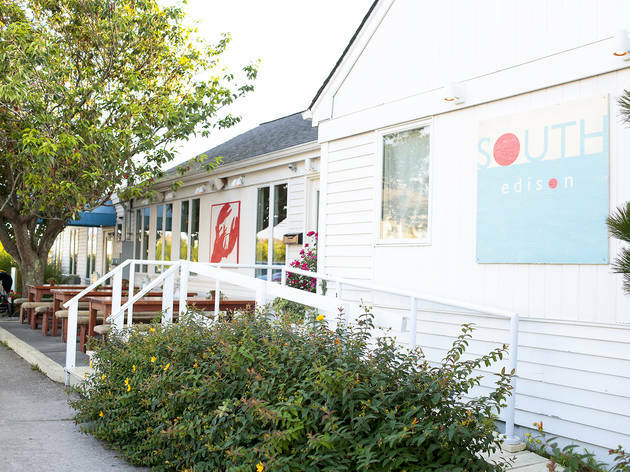 We never thought we would be recommending fried chicken in Montauk, either. But here we are. Order the savory and crispy pieces by the part (thigh, breast, leg, wing) at the unassuming deli, and add a side or two of goey macaroni and cheese or creamy potato salad. It's a little bit of south in the east. 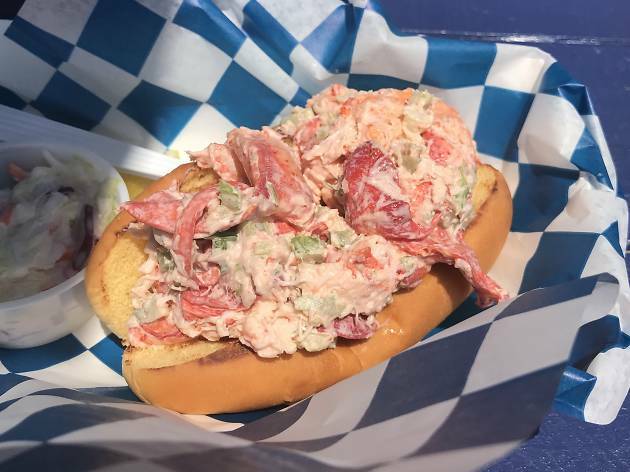 The seafood doesn't get much fresher than at Gosman's, a family dock and restaurant that's been around since the 1940s. 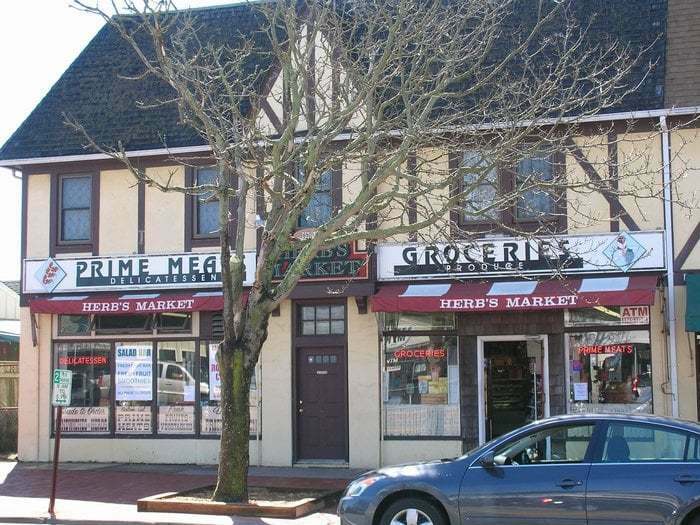 A lot of the town's restaurants' seafood is straight from Gosman's, but diners can sit on one of the outdoor tables on the harbor and eat steamed lobsters or more inventive fare like tuna tartare cones. 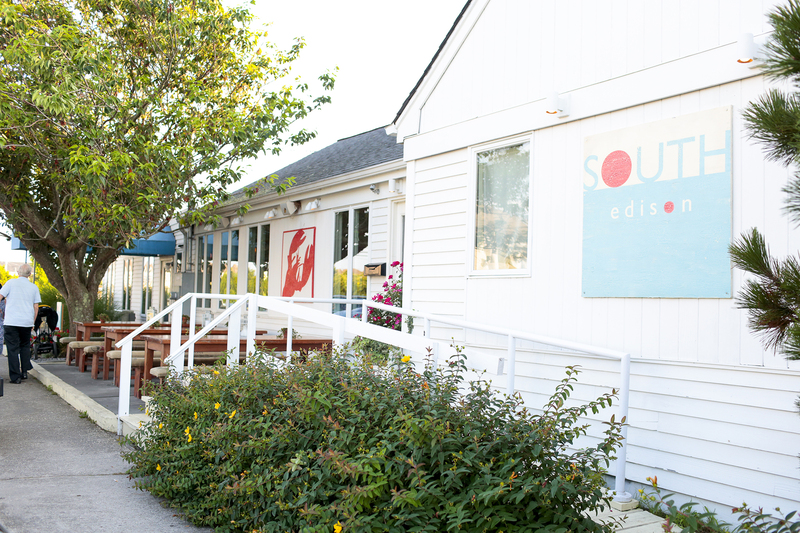 The private beach and former Navy ground is now occupied by a surfside restaurant. 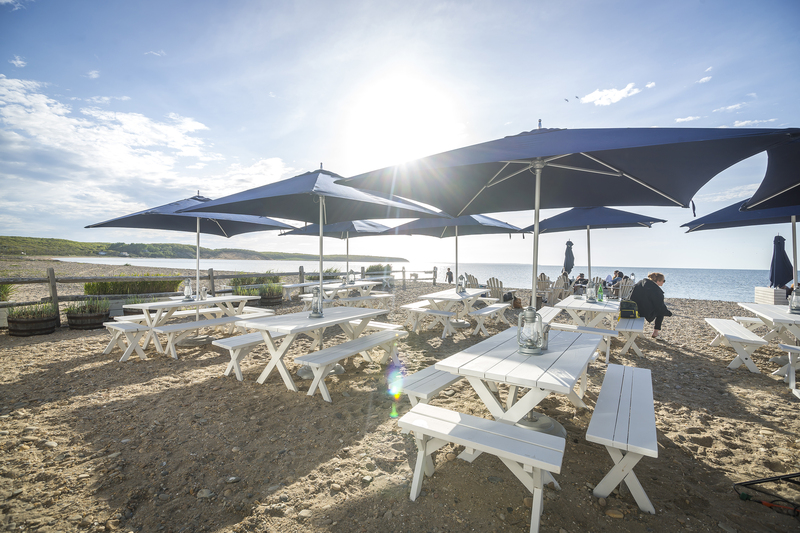 Catch the sunset while noshing on buttermilk fried chicken or fire-roasted sea scallops on white picnic tables planted right in the sand. 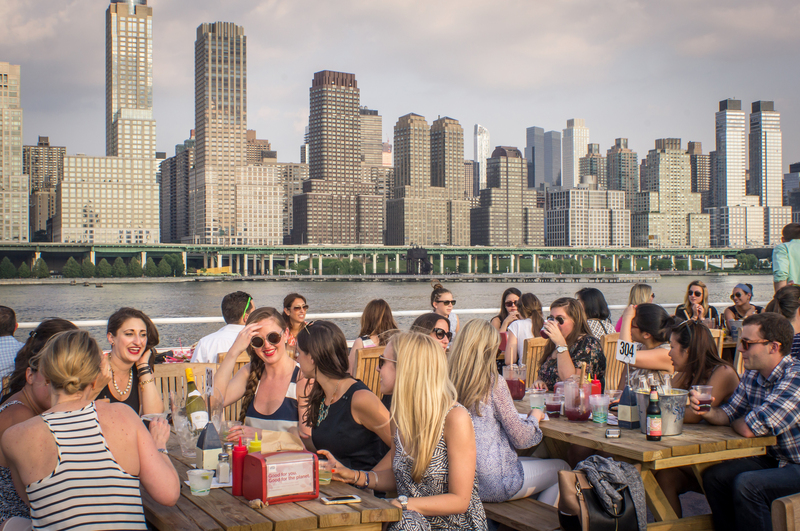 And what's a New York summer without rosé? 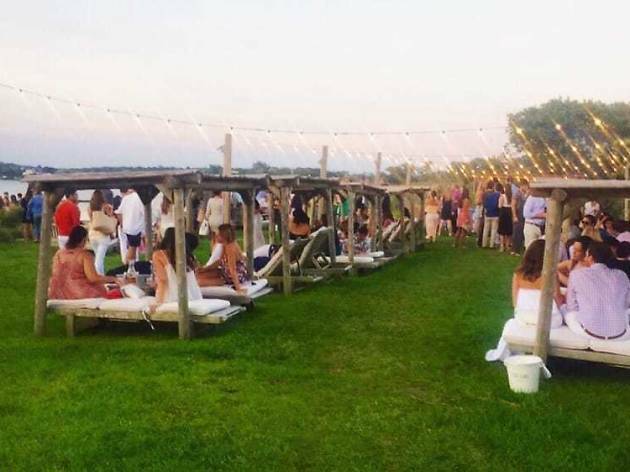 The beach-taurant boasts one of the largest selections in the Hamptons. Sailors can even anchor their boats in nearby Fort Pond Bay. 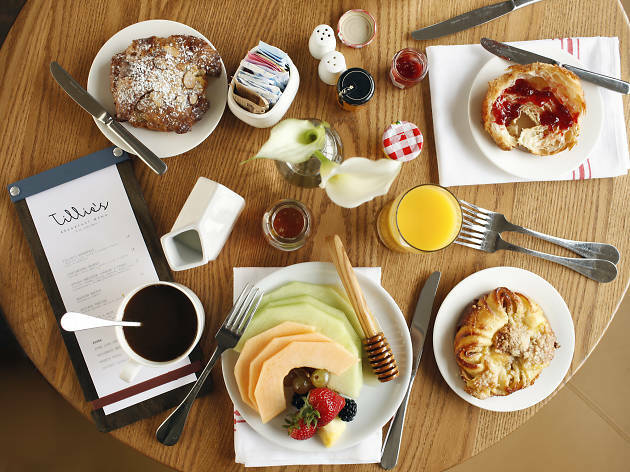 There's a reason Joni's is packed during brunch time. The menu's long list of smoothies, bowls and breakfast wraps is just what the casual weekender is craving on those warm summer days. 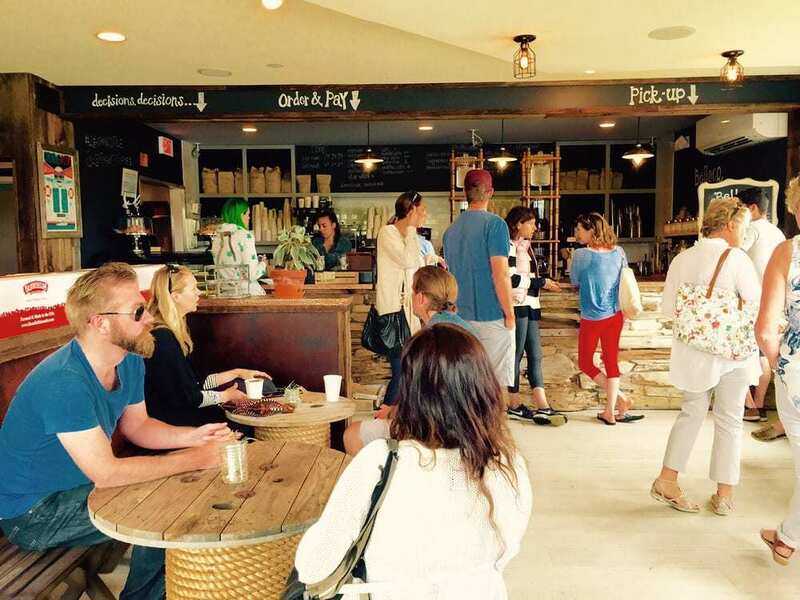 Eat your healthy dish in the bright, surfer-cool space, or take it outside to one of the several picnic benches. 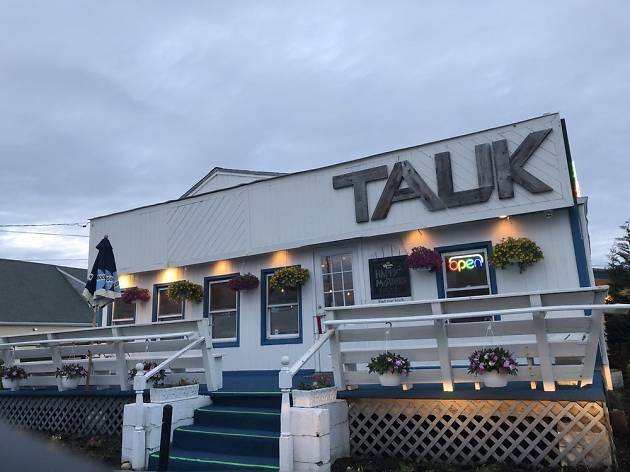 The original Trails End eatery opened in 1927 near the fishing village. After a 1938 hurricane, the building was moved to its present spot near the main circle. 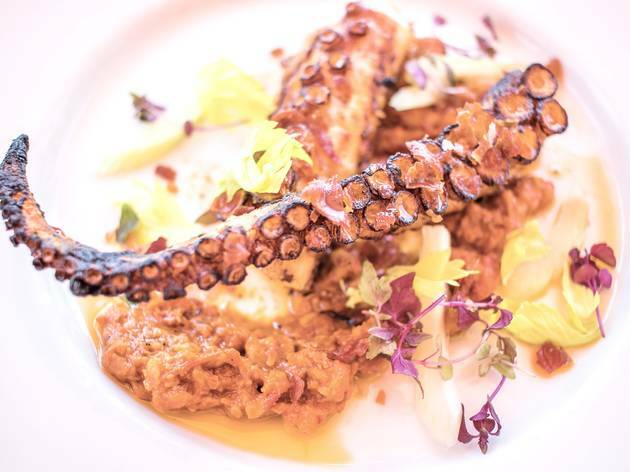 Now, the restaurant is owned by two families serving locally sourced comfort food with an upscale twist. Eat them in the sun-washed interior with the original phone booth closet or on the outdoor patio. 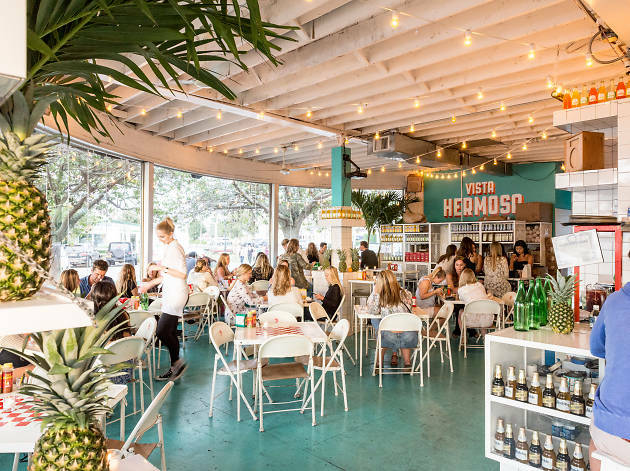 The hit-makers behind Fat Radish on the LES created this Montauk fish joint, a romper-splashed hot spot during the peak of summer. 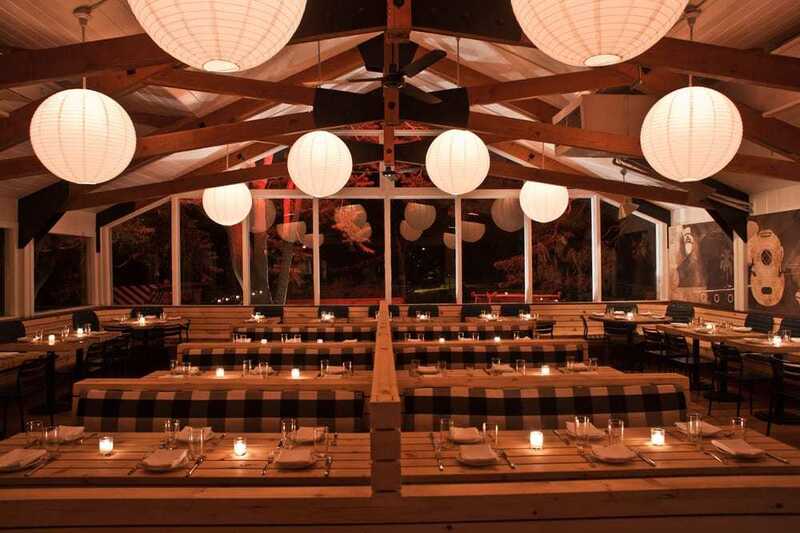 The restaurant, which serves upscale, all-American favorites like a short rib, brisket-burger and mini lobster rolls, turns into a rowdy, campground party at night. If you're looking for casual meals that you can bring to the beach during lunchtime, stop in the town's take-out spot serving locally sourced seafood. 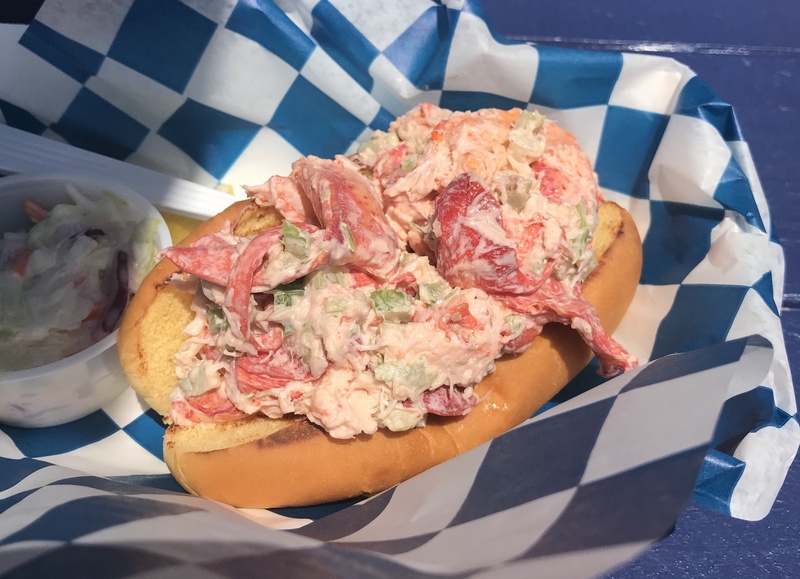 Choose from lobster rolls, fish tacos, oysters and crab cakes, among others. 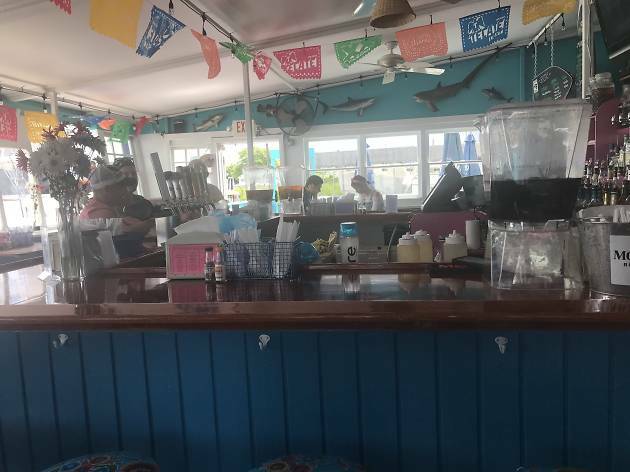 The Hideaway may look like a complete dive restaurant from the outside, but inside is a colorful and breezy spot dishing out Mexican favorites like tacos, burritos and Mexican corn. If you're jonesing for a gourmet cup of joe, the right place to look is Left Hand Coffee. Like something straight out of Brooklyn or SF, this cute coffee shop serves iced nutella lattes and Yama cold drip to cool you down or americanos and flat whites to speed you up. Set among the fishing docks in Montauk, the casual spot offers tapas-style plates cooked with a Mexican flair–think clams Michelada and chicken empanadas covered in cashew mole. To add to the relaxed vacation vibes, listen to live music six nights a week. 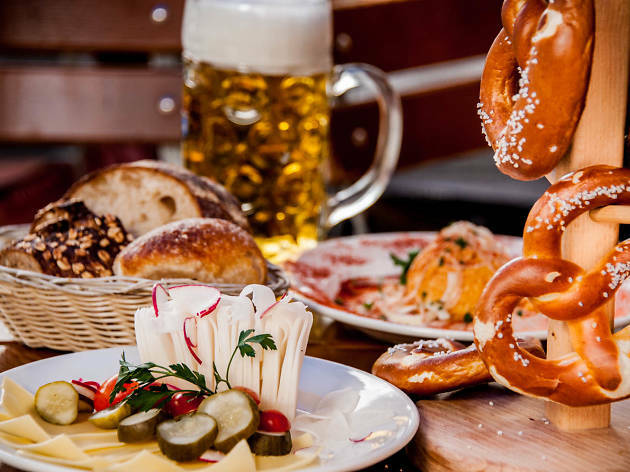 Schnitzel and surf might be a head-scratching combo, but in this case, the hearty German menu is a refreshing break from light seafood plates dominating the East End. Plus who wouldn’t love a cold mug of hoppy beer after a long beach day? 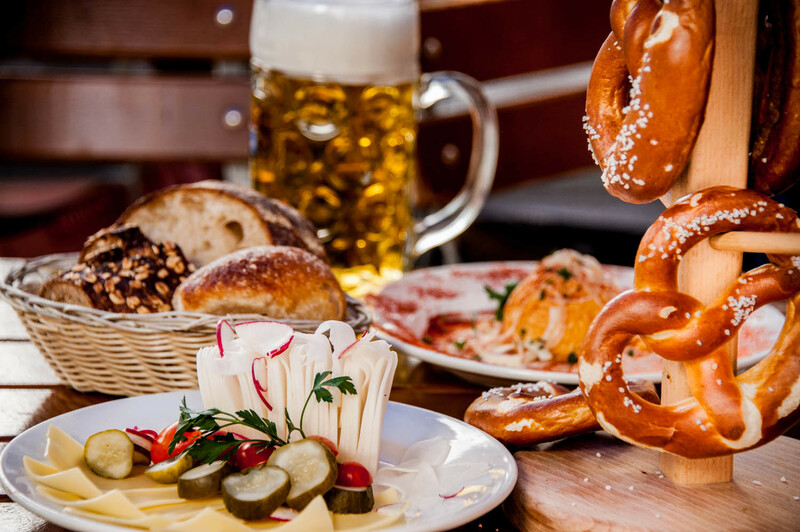 Guzzle down Bavarian pints while fueling up on Wiener schnitzels, grilled bratwurst and white sausages. Yes, there are tons of Tacombis around the Manhattan, but somehow casual Mexican fare just tastes better seasoned with a little salt air. 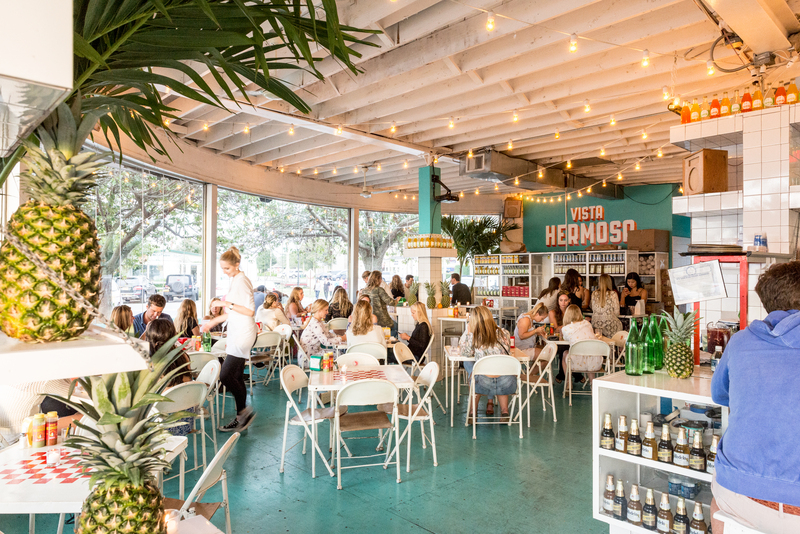 Try the reasonably-priced tacos (crispy shrimp, Yucatecan chicken) and quesadillas (cheese, shrimp, chicken) in the cheerful space right in the center of town. 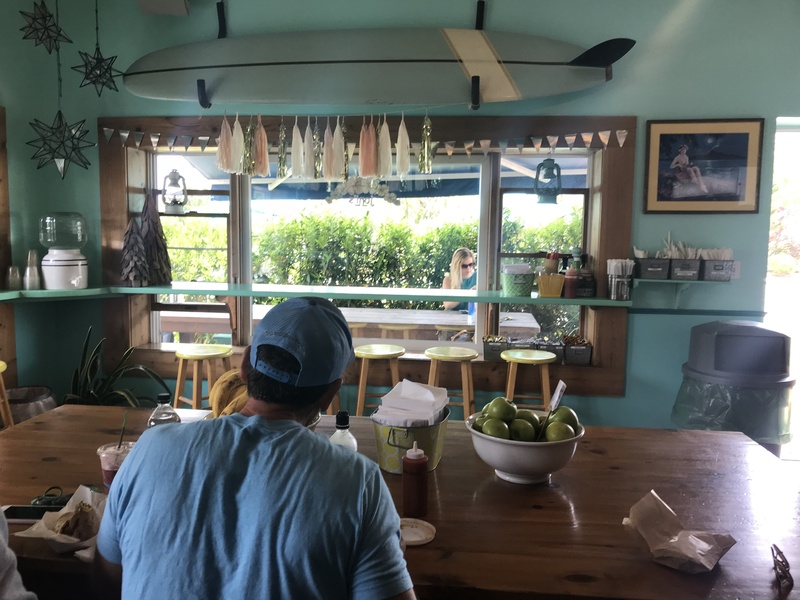 Gurney's is a destintion all in itself, but if you're looking for a daytime snack inbetween lounging on the beachside cabanas, head indoors to Tillie’s. 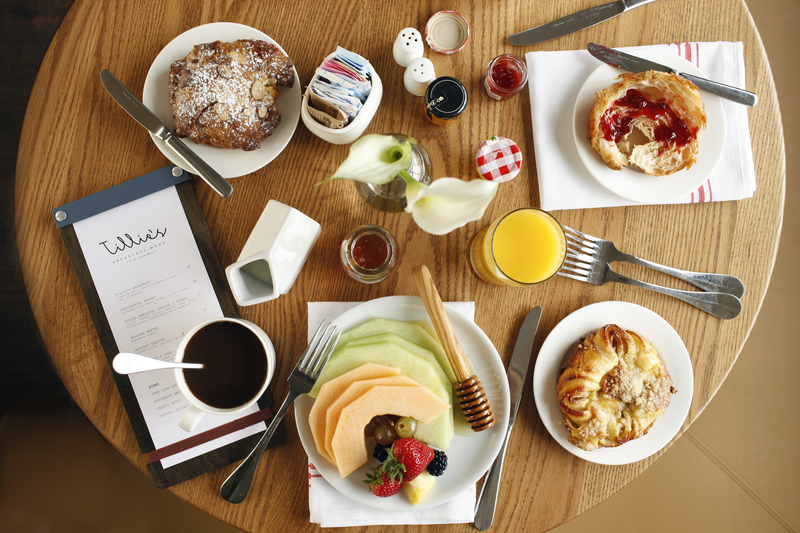 The cafe-style kitchen serves the staples of french toast, waffles and pancakes, along with omeletes and eggs Benedict for breakfast. 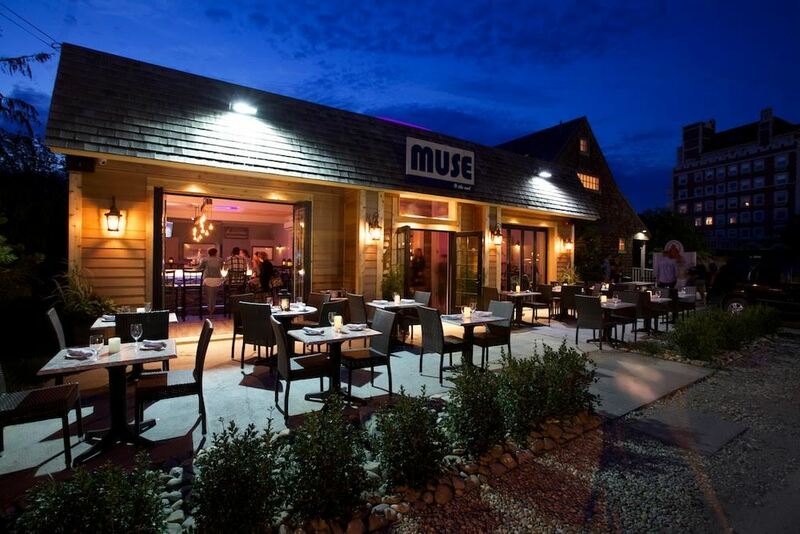 If you're looking for something a bit more city-slick, the Muse is a stylish addition amid the sun-washed options. 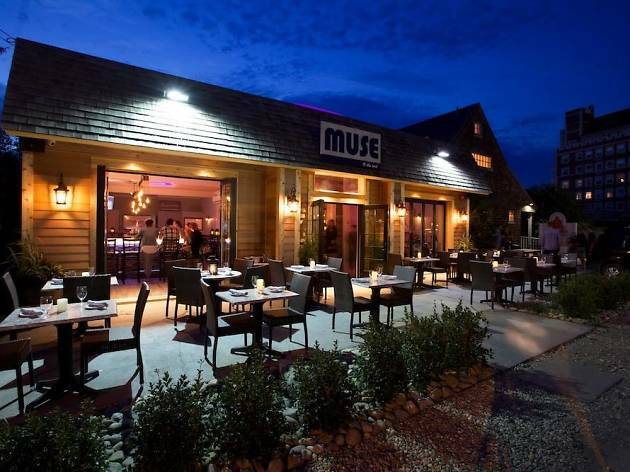 The upscale menu includes seafood plates with an Asian bent, think Indian-spiced local cod, lobster and shrimp-pad Thai and blackened sashimi-style ahi tuna. Slip into a separate bar area if you would rather spend the night imbibing summery cocktails like coconut margaritas, and watermelon martinis. 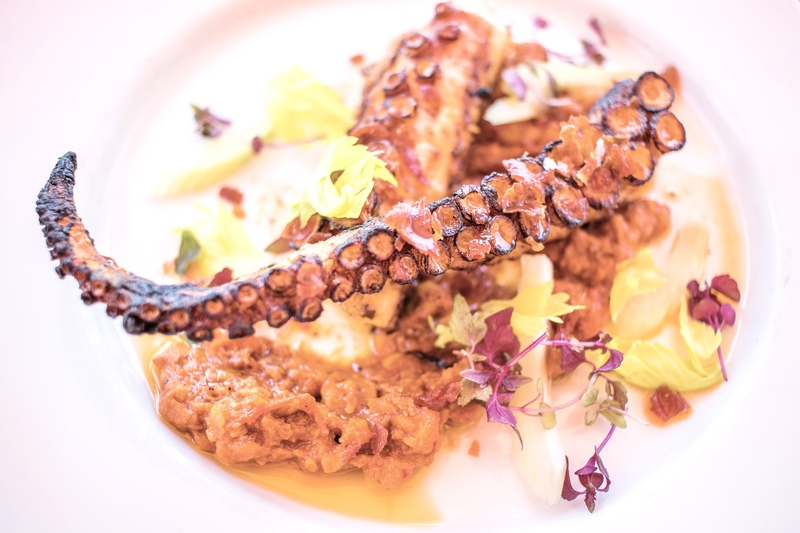 Enjoy local seafood and produce from chef-partner Todd Mitgang and Executive Chef Frank Fuschetto in the cheery, airy space. Try some raw bar offerings (oysters, littleneck clams, shrimp cocktail) or heariter seafood entrees like seared tuna or steamed lobster. For drinks, go for the signature pickle martinis–a choose-your-own-alcohol cocktail garnished with house-brined beet and fresno-chili pickles. 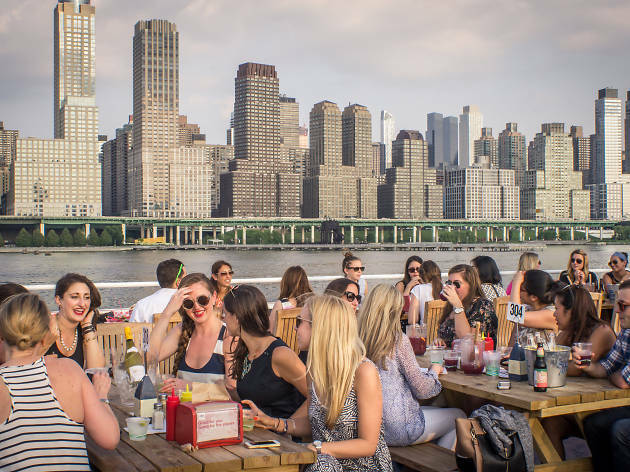 Looking for a waterfront restaurant?